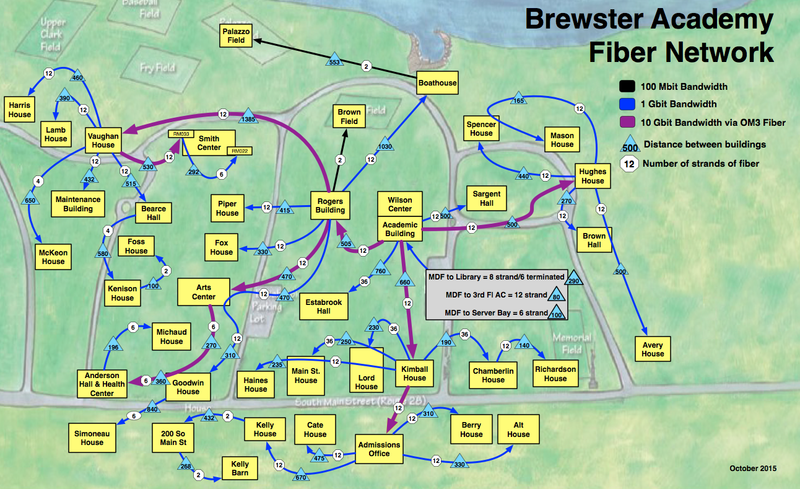 In May 2014 the campus was connected with 20 year-old 0.1 Gbit fiber. Today our 10Gbit fiber backbone provides 100 times the bandwidth and the 1Gbit fiber that connects our outlying buildings is 10 times the bandwidth of what we had 15 months ago. We all connect our devices (laptops, phones, TVs, gaming consoles) to the Brewster wireless network via small smoke-detector-like units on or above the ceilings around campus. These units are called Wireless Access Points (APs) and are connected by an ethernet wire through the walls to a network switch somewhere in the building (usually the basement). Each building’s network switch is connected to the Fiber Network. 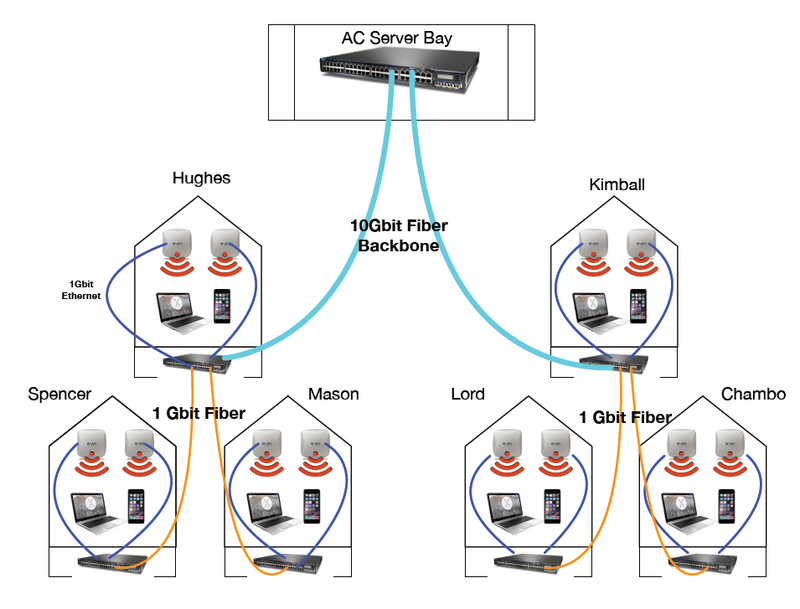 Our core network is connected with 10Gbit Fiber and consists of AC Bldg, Rogers, Vaughan, Kimball, Admissions, Anderson and Hughes. Every other building is connected to one of the core buildings with 1Gbit Fiber.